Whenever there are reports of negotiations or discussions taking place between two sides who are trying to make a big fight in boxing, you never quite know what to believe. Last year, Deontay Wilder and Anthony Joshua were two of the most-discussed fighters in all of boxing, especially when the news concerned the possibility of the two of them facing one another. There were reportedly negotiations that took place in regards to a fight between Wilder (WBC heavyweight champion) and Joshua (IBF/WBA/WBO champion), and even rumors of a $50 million offer that was volleyed towards Joshua’s side; but the fight never came off. Instead we saw Joshua buzz through former champion Alexander Povetkin while Wilder struggled with former lineal champion Tyson Fury in December before scoring two knockdowns to salvage a 12-round split-draw. So, the two careers of the men are moving forward, as Wilder seems set on a Fury rematch while Joshua appears likely to be facing Jarrell Miller in June in New York. And looking back on last year, both sides have different opinions on who did and who didn’t really want the fight to happen. Promoter Barry Hearn, who founded Matchroom Sport, the company that handles Joshua’s career, certainly has his opinion. During a recent interview with IFL TV, Hearn addressed Wilder’s lack of boxing fundamentals. Bold claims given to the man, Wilder, who has knocked out everyone he has faced, outside of Fury, of course. But Hearn is adamant about his remarks. Hearn understands that Wilder vs. Fury II is all but a lock yet he reveals the loser of that clash will look back with regrets. 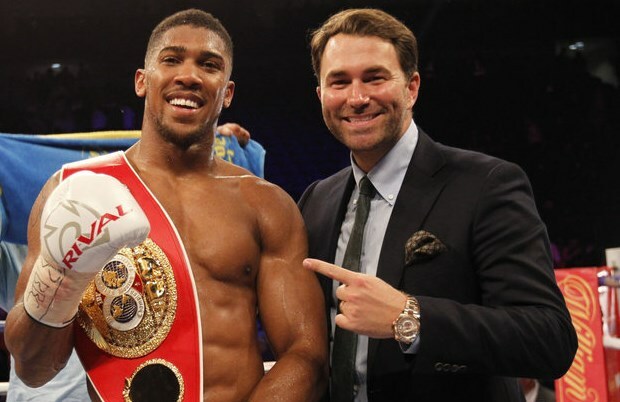 “Unfortunately, one of them is going to lose and that one is going to wish they took the deal with Anthony Joshua earlier,” Hearn said. Hearn continued to roast Wilder, while slowing down just a bit to at least give some respect to his tremendous punching power. Is Hearn speaking the truth of Wilder? Or is there more to the Alabama fighter that he is giving him credit for?